‘Cheat again’: Mahendra Jain’s documents submitted to SBI was not similar with that of the document at the settlement dept. Proprietor of the M.R. Roller Flour Mill , Mantripukhri Imphal, Mahindra Kumar Jain once more cheat the media by showing documents with concocted story yesterday at Manipur Press Club. This newspaper had reported that the Jamabandi he submitted to the State Bank of India (SBI), MG Avenue, Imphal was a fake Jamabandi. Imphal Times reported the matter as there could not be two Jamabandi for the same land of the same person. Source with the Imphal Times said that the Jamabandi he submitted to the bank is 0.66 acre area while the original Jamabandi showed that the actual area is 0.11 acre. Imphal Times had showed every detail of the Bank account and Pan card and Tin no. in the earlier issue. The same was produced by a civil society organization ACOAM Lup during a press conference held. Now, when Imphal Times dig on how the Proprietor of the M.R. Roller Flour Mill could managed to get a loan of Rs. 8 Crore without much difficulties or say without much checking of the documents submitted by him it was found that he had a good record in the SBI. Imphal Times also reported that his account statement showed non submission of taxes as well as non filing of tax return as per his financial statement of 2015-16. (Shown in the photo is the two different Jamabandi , which Mahendra Jain submitted to the bank and the other which is with the Settlement department. Moreover Imphal Times have learnt that the said proprietor had issued check of over Rs. 3 lakhs to two of his employees as salary. The actual salary for the two employees is stated to be Rs. 10,000/- per month. Imphal Times wander on how the two employees could work for the firm without getting any salary which cross Rs. 3 lakhs. What is more surprising is that the matter is at the court as the check issued turn out to be bounce Cheque . As the matter is with the court Imphal Times will not go into details on this as it would be prejudice. 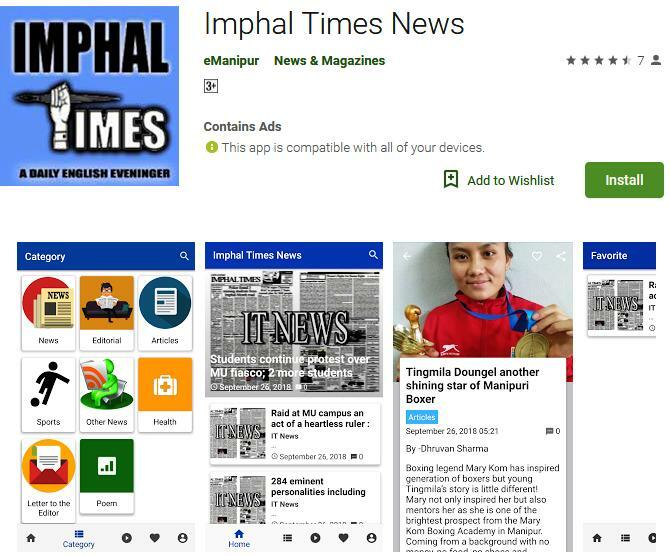 More information are still with the Imphal Times and as long as the proprietor of Proprietor of the M.R. Roller Flour Mill continue to cheat the people the more scam will be put to the public domain no matter if it hurts any groups.